Halo 5 – Plays Best on Xbox One X! Following its official debut at E3, there’s been a tremendous amount of growing excitement around the upcoming release of Xbox One X and the promise of true 4K gaming. Many Halo fans were quick to note that Halo 5 was conspicuously absent from the list of games being given the 4K treatment. The team here at 343 always had a desire to bring players the best Halo 5 experience for Xbox One X, but we weren’t quite ready to make the announcement during the E3 time frame. Today we are excited to officially confirm that Halo 5 will receive a game update to support true 4K with the release of Xbox One X later this year! We’ll have more to share on this front as we get closer to release, so stay tuned. The Xbox One’s list of backward compatible titles has grown by leaps and bounds since the initial wave of games came out in 2015, with nearly three hundred Xbox 360 titles currently supported. 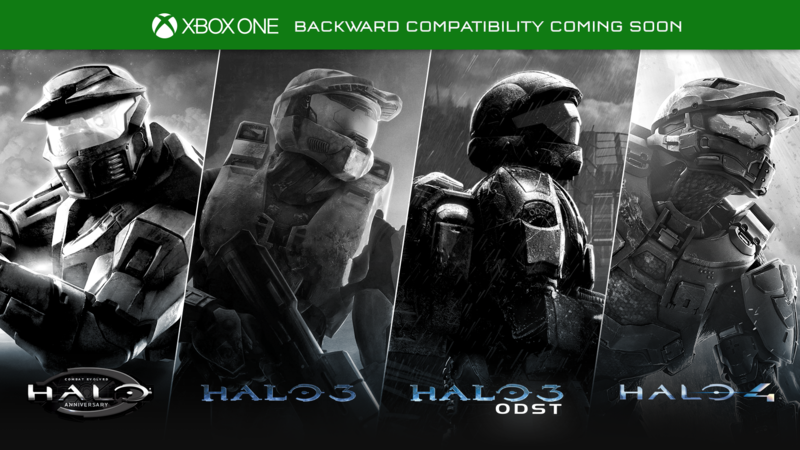 Today we’re thrilled to announce four more very special additions coming later this year to the Xbox One back-compat program: Halo 3, Halo 3: ODST, Halo 4, and Halo: CE Anniversary! Each of these games will include campaign and multiplayer, and will even support LAN play on Xbox One – including LAN play between Xbox One and Xbox 360! Once released, you’ll be able to pop in your original disc or purchase a digital copy of the game via the Xbox Store and jump right in. Best of all, once these titles are added to the program, every Xbox 360 Halo add-on map pack in the Xbox Store will be made available for free, ensuring you have everything you need to achieve maximum enjoyment in online matchmaking or custom games. We know this is something you’ve been asking for, and we’re excited to make these map packs available for all players. We’ll have more details on the release timing soon but in the meantime, join us at RTX Austin 2017 for an exclusive hands-on preview with Halo 3 and Halo 3: ODST running on Xbox One! Since its release in February, Halo Wars 2 has seen a steady flow of game updates, balance tweaks, and add-on content to improve and expand the experience for players on Xbox One and Windows 10. 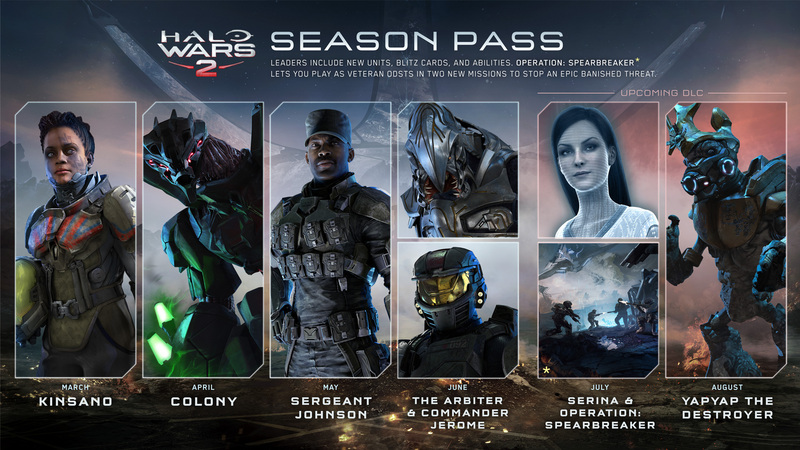 To date, Season Pass holders have received four months of new updates, with two more months of hotness still to come. Here’s a quick summary of all the new multiplayer Leaders that have been released thus far, and a sneak peek at what you can look forward to in July and August. 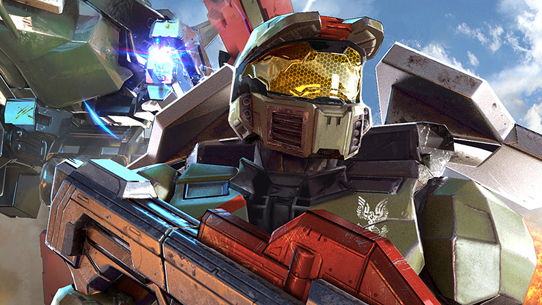 In the coming weeks the 343 team will be hitting the road to meet, mingle, and celebrate Halo with the community! Join Halo and the 343 team in Texas from July 7-9 for three fun-filled days at RTX Austin 2017! We’ll have hands-on playable previews of the upcoming Xbox One back-compat versions of Halo 3 and Halo 3: ODST as well as a chance to play the brand new “Terminus Firefight” mode including with this Fall’s “Awakening the Nightmare” expansion for Halo Wars 2. There will of course be even more fun taking place including a BoomCo firing range, a “Halo Match Game” panel and some multiplayer hijinks on the center stage. Suffice it to say there will be many prizes given away over the course of the weekend. Go HERE for a full rundown of our RTX Austin activities! On July 21st the top Halo teams across North America – both professional and amateur - will converge on Atlanta to compete for the largest prize pool ever offered at an open HCS event. With a $200,000 4v4 prize pool on the line along with a $5,000 FFA tournament, the stakes are as high as ever! Rally your friends and come experience it first hand as a spectator or competitor or, barring that, plan to watch and cheer on your favorite teams with live action streams on Mixer.com/Halo and Twitch.tv/Halo throughout the tournament. Get complete details on HCS Summer Finals @ Dreamhack Atlanta right HERE. On July 27-30, Halo Wars 2 and Halo 5 will both be playable on the show floor at China Joy, one of the largest global digital entertainment shows in the world. If you plan on being at this massive event, make sure you stop by, say hello, and get some Halo in! The 343 team will be traversing the globe to bring Halo Wars 2 goodness to our European community at this year’s Gamescom expo in Cologne, Germany. Expect even more details on the upcoming “Awakening the Nightmare” expansion along with hands-on gameplay with the brand new “Terminus Firefight” game mode. Gamescom runs from August 22-26. Save the date, we’ll have more details to come. If Halo collectibles are more your speed then hold onto your wallets because there's a lot to look forward to this summer! From the newest Halo Crate to novels to comics and action figures, our partners are bringing a red-hot array of Halo goodness to a store near you. 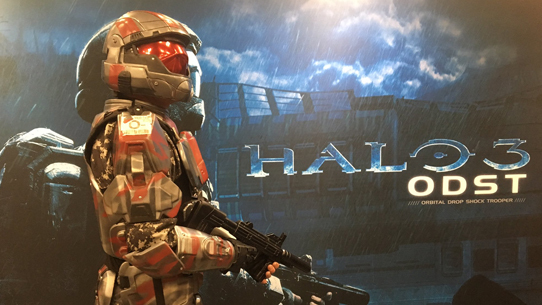 As always, stay tuned to @HaloGear on Twitter for the latest on the world of Halo collectibles. After the incredible success of the first wave of awesome content, the Halo Legendary Crate is back! Series 2 is available for purchase now and is slated to bring more exclusive Halo gear and content including new wearables, collectibles, extended fiction, a brand-new set of beloved Halo Icons figures, and much more. 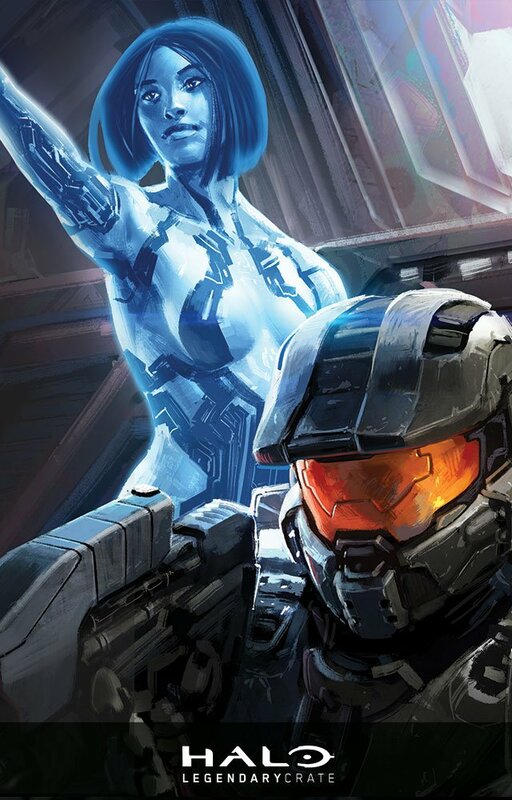 The first entry in the new series of the Halo Legendary Crate primarily surrounds the events of Halo 4, highlighted by the awesome cover art by Isaac Hannaford seen below. Make sure you visit lootcrate.com/halo to secure your own heroic Halo hot-drop! This summer, we’re also excited to release a brand-new comic anthology series in partnership with our friends at Dark Horse that takes a deeper look into Atriox’s past, and the rise of his legacy. In Halo Wars 2, we got a glimpse of this history during Isabel’s initial intelligence report on the UNSC Spirit of Fire. In Halo: Rise of Atriox, fans will get an even closer look to events alluded to in those gorgeous Blur cutscenes. 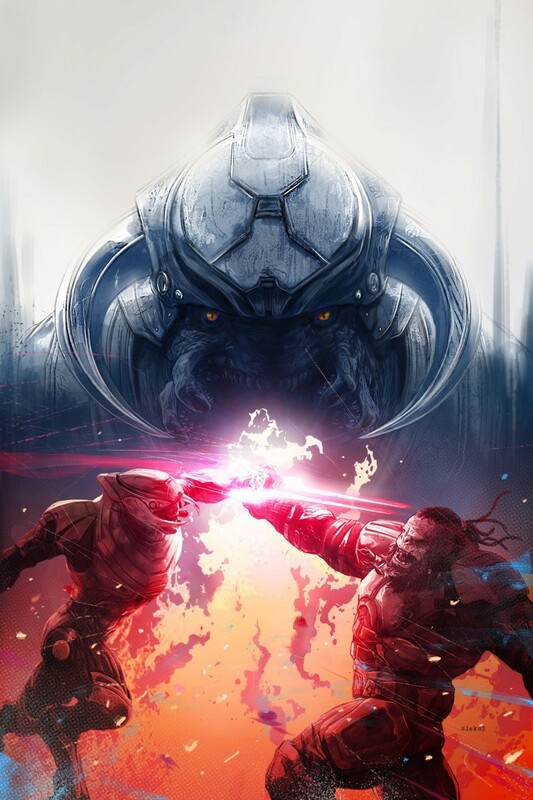 Halo: Rise of Atriox is a five-chapter mini-series, and collects epic tales brought to life by acclaimed comics creators Cullen Bunn (Harrow County, Conan the Slayer), Jody Houser (The X-Files: Origins, Faith), John Jackson Miller (SMITE: The Pantheon War, Halo: Tales from Slipspace), Alex Irvine (Hellstorm: Son of Satan, Dark Sun: Ianto’s Tomb), Josan Gonzalez (Weird Detective), Jonathan Wayshak (Call of Duty: Zombies, Halo: Tales from Slipspace), and Tristan Jones (Rebels, Aliens: Defiance). The series’ opening salvo (Cullen Bunn – author, Eric Nguyen – art, Jeremy Colwell – colors) finds Atriox, still a member of the Covenant, leading his fellow Brutes in an all-out assault on a UNSC outpost, with each successive installment revealing more about this cunning Jiralhanae’s ascension to power. Seen here is the cover from Issue #2, lovingly crafted by Aleksi Briclot (The Art of Remember Me, Conan: Road of Kings). We’re extremely excited to get these awesome new additions to the Halo story out into the wild, and hope you’ll join us for the ride. Issue #1 of Halo: Rise of Atriox goes on sale August 2, 2017, and is available for preorder right now. 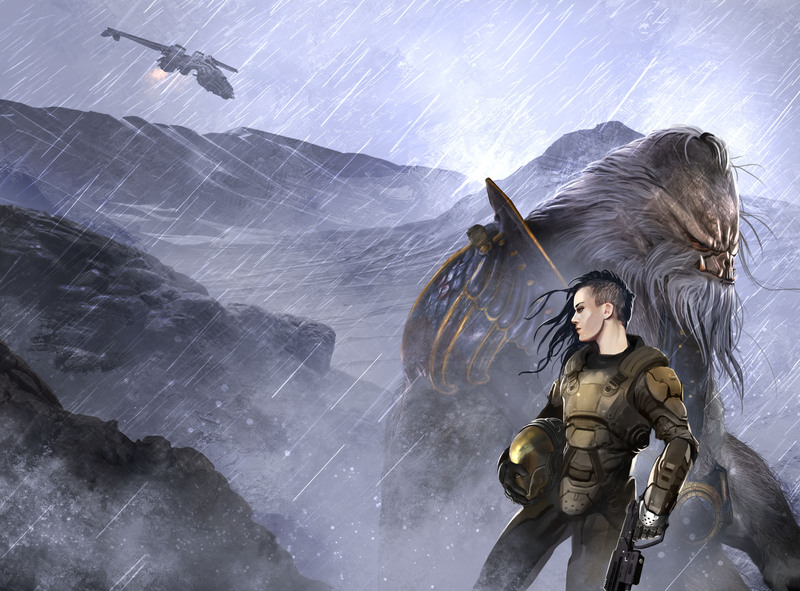 On Aug 29th another new chapter in the Halo universe will be unfurled – well, several of them, technically – as Halo: Retribution by Troy Denning makes its way to store shelves and lore-loving hands. Check out our June 22nd Community Update for more info on the upcoming novel. Halo: Retribution is slated for release on August 29, and you can preorder your copy right here! Series 2 of 6" Halo Action Figures from Mattel launching this summer including Arbiter Thel 'Vadam, Spartan Buck, Jerome-092, Atriox, and an Imperial Grunt as a ‘Build-a-figure’. These highly detailed and articulated figures are available now at a store near you! If you're going to be in San Diego later this month be sure to stop by the MEGA Construx booth at SDCC to check out a very big build debut! Like most of you we’re also filled with a mix of emotions at the upcoming 10th anniversary of Halo 3 – “Wow, it’s been ten years!? I feel old” and “Damn Halo 3 was awesome” being two common examples. You’ll have a few different ways you can celebrate this momentous milestone – in addition to the eventual release of Halo 3 back-compat on Xbox One, the team is also planning a special Halo 3 Anniversary Throwback playlist for Halo 5. This new matchmaking offering is being built from scratch on a selection of incredible community-made Halo 3 maps created with Forge in Halo 5 and will feature “classic” gameplay settings. We’re also cooking up a fun commemorative live stream that should offer good times and a hearty helping of giveaways. Stay tuned! An ongoing onslaught of matchmaking fun with regular featured playlist updates including returning favorites and brand-new offerings will be coming all throughout the Summer. From Multi-Team to Warzone Turbo to Double XP and the return of fan favorites like Ranked Snipers, Extermination and Mythic Shotty Snipers, the Halo 5 sustain team will be cooking up all manner of things to keep you having fun online in the months ahead. We’ll also have plenty of community playdates to get more folks the coveted 343 Unicorn Skin and plenty of chances to stick, assassinate, and back smack a variety of 343 employees. 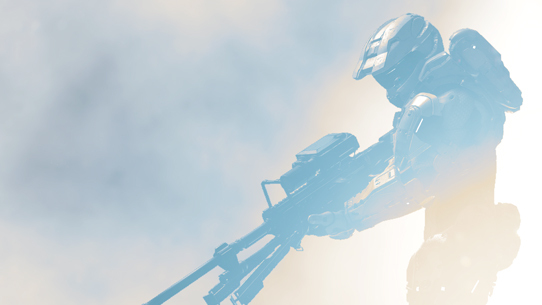 We hope you’ll join us online and keep sharing your matchmaking feedback and requests with us at halowaypoint.com. On behalf of the entire 343 team, thank you for your continued support and we wish you an awesome summer full of fun, friends, and plenty of Halo. Stay tuned to @Halo on Twitter for everything you need to know and we hope to see you online! Hello again, friends. Welcome back to another edition of the Community Update! This week we’ve got a smattering of content catch-ups to converse about, including fresh new heroes in Halo Wars 2, epic impending esports action in Halo 5, cool community contributions, and much more. Shall we proceed? We’ve got a good recap on tap for you today, including thoughts, memories, and images from an incredible time at RTX in Austin, a catch-up from our recent Microsoft Store Halo 5 FFA tournament, round-up of recent exciting announcements, and more – read on!